Leaders of the Relief Society, Young Women and Primary organizations of The Church of Jesus Christ of Latter-day Saints provided a $120,000 donation Thursday to expand the medical facilities at the South Valley Children’s Justice Center. The center provides a warm, welcoming place for child victims of sexual assault to tell their stories to detectives and for their parents to learn about additional resources for their children and families. Sister Joy D. Jones, general president of the Primary, and Sister Bonnie L. Oscarson, the Young Women General President, presented the donation with Sister Carol F. McConkie, first counselor in the Young Women general presidency and Sister Reyna I. Aburto, second counselor in the Relief Society. As much as I appreciate the fact that the Church gives numerous donations that are meaningful, it strikes me odd that a "worldwide" church focuses so much of its donations to the Utah area. It is about time that the donations begin to more rightfully flow out of Utah and spread throughout the mission field area (I am in Texas), as well as other Countries. Yes, I know the Church donates worldwide; however, the Church concentrates many donations around Salt Lake partnering with the City and private projects (i.e.-downtown, City Center, etc). Even the chapels we meet in out here are in ill-repair and we are always told that "the Church has said there is no monies to spend on buildings or repairs." I appreciate that Salt Lake is beautiful because the Church donates so much, but spread the love a bit!!!! 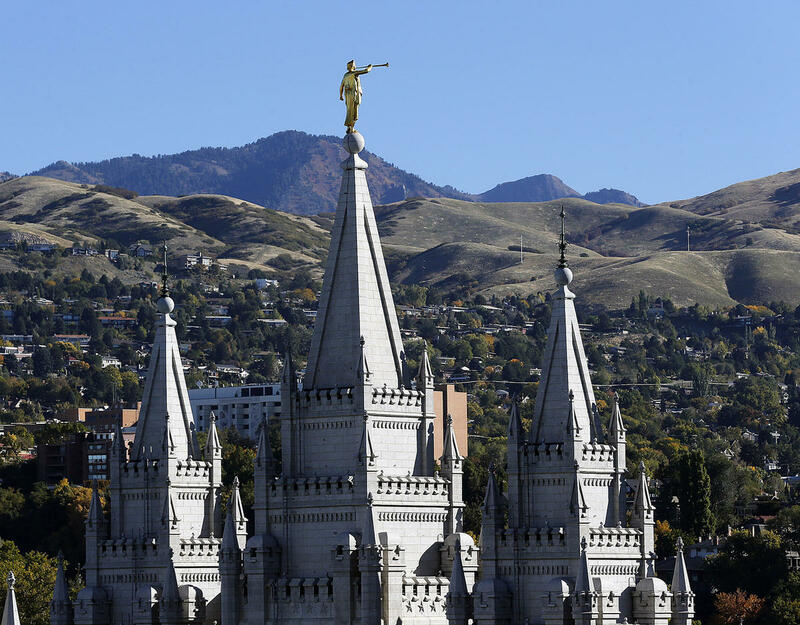 There is a reason that the mission field views Utah as a very different Church than the rest of the world (a good steward does not only take care of himself, but all). P.S.-My comment is not about doctrine, merely man-made decisions of administration.